Jawahar Lal Nehru, like all great men of history, came as a blessing at the correct point in time with exactly correct capabilities and intentions. Nehru came to the Indian nation exactly when he was needed. Nehru has to be understood in the correct context. Nehru lived in an India which was deeply feudal, casteist and illiterate. Before becoming the first Prime Minister of this fragile entity called India, Nehru had seen unprecedented communal violence, barbarism and hatred. The task Nehru faced was enormous and multi-pronged. He had to keep the country one. He had to minimize communalism. He had to strengthen budding democracy in the country. He had to sculpture India as a forward-looking, modern, scientific, democratic and pluralistic country. Several democratic, scientific, and educational endeavors had to be initiated. Nehru’s clinical equal treatment of all religions sprang from his realization of lurking dangers of communal violence in India. He did not want mindless loss of life at any cost. That is the reason why Nehru compassionately took everyone along. What many mistake as his weakness was his greatest strength. His non-threatening persona glued India together. For a newly constructed entity like India and for a leader as deeply and widely loved as Nehru, the chances of turning to autocracy were very high. But with Nehru around, democracy was safe. Gandhi’s choice was right. Nehru was an idealist, there’s no doubt about it. He was genuinely hopeful of cooperation among countries. He sincerely believed that a new world order would emerge. Nehru consciously chose a mixed economy of public and private ventures. Nehru never planned to give India completely into the hands of the capitalists. The capitalist will work for his profit, come what may. Nehru knew the importance of politics. The public elects a political leader. The public does not elect a capitalist to run the country. The Prime Minister of the country as the repository of all the aspirations of all the people must not succumb to the power of the capital. Being the Prime Minister of the country entails tremendously serious responsibility. The capitalist can never have the eyes of a visionary. The power of the bomb lies with the Prime Minister. So many innocent lives and their welfare lie in the hand of the Prime Minister. The Prime Minister, therefore, has to an extremely wise person. The Prime Minister of India cannot afford to be shallow. It’s refreshing that Nehru was candid about his views on asceticism and that he never wanted to worship poverty as such. Nehru knew the winds of the times to come. As he has written in his autobiography, once the apple of Eden is eaten, there’s no going back to primitiveness. Once the bridge is crossed, there’s nothing like returning to the original state in psychological terms. While Gandhi’s focus became more and more on personal salvation, Nehru concentrated on the general public good. For Nehru, non-alignment as the international policy of India was a mark of India’s independent status. It is only in the decades to come the non-alignment movement became more and more pro-Russia. For Nehru, the word ‘non-alignment’ was real. Like all great men, Nehru was an idealist and believed in his ideas. He actually imagined a world where countries could thrive without aggression or interference from other countries. He held an ideal before his eyes and marched towards it. Nehru loved ideas of free exchange of thought, open debate, consultation and discussion. He ardently worked to inculcate these qualities in Indians. While talking about India, at many places, his tone becomes parental. Detailed, intricate and long-term planning was an integral component of Nehru’s personality. He went into tasks after meticulous planning. Accounts on Nehru tell again and again how methodical he was. He always wanted the detailed picture before his eyes prior to taking a single step. Nation-building, after all, was no small task. Nehru’s flawless planning contributed in starting a systemic system in India. Today, we have received the legacy of a structured system in India much because of Nehru and his vision. His concept of planning fact was appropriate keeping in view the fact that he headed a newly formed state. In the discussions of the constituent assembly itself, debates on structured planning had started. After independence, right from funds to skilled manpower, Nehru and his team faced severe constrains in institution building. Nehru chose the path of gradual and permanent advancement through planning. Today, the bulk of thinking, planning and implementation is done by bureaucracy. But Nehru was an exception to this. It was he who planned and led the movement of effective governance in India and everyone else followed. He could do this because he was educated and knew the nuances. The specialty of Nehru lied in the fact that he filled life and soul into dreary activities like planning and policy making. He conceived planning in India as a repository of values. Now that so many years have passed since we achieved Independence, we can safely say that Nehru’s approach was right in establishing institutions and traditions of modern India. Nehru’s concern was that he should be the beginning of a healthy tradition of democratic India. The smooth functioning of democracy in India over the years has proved that Nehru was right. India needed to consolidate its consciousness as a modern nation before leaping into progress. Nehru understood this. The basic work of a leader is to create the right kind of atmosphere where healthy tendencies can grow. Nehru’s liberal attitude helped a large number of Indians in educating themselves and attaining a new level of self-awareness and dignity. Freedom, dignity, creative liberty, artistic courage- all these tendencies were encouraged by Nehru. He told film makers ‘Don’t spare me’. India was and remains to be a highly divided society in terms of economic well-being, religion, language and family practices. Nehru succeeded in creating a linking thread of Indian hood among all these groups. That is the reason why debates of Parliament were so important those days. People realized the importance of dialogue. Nehru was very particular about maintaining the rules and regulations of general elections. He saw to it that a level playing field was created and every stream of thought of thought found its expression. He wanted people to be faithful to institution and not individuals. 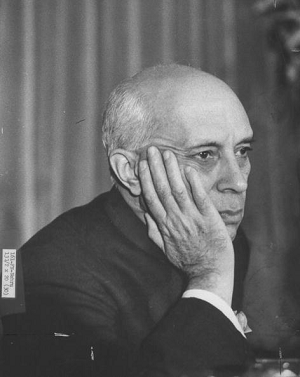 The most alluring aspect of Nehru’s personality was his scholarly and philosophical bent of mind. Personally I feel that the best of Nehru lies in his books. His ability to put historical events into the right perspective was perhaps the most precious quality of his personality. We can see that throughout his writing Nehru has maintained that while Mughal invaders never left India, the British always remained separate and aloof. The Mughals got Indianized but he British were not. Nehru always treated his political opponents with compassion and understanding. He shows tremendous insight into the psyche of those with whom he does not agree. All that Nehru has written is basically autobiographical. As a master essayist, he writes down pages after pages humanizing history. For Nehru, understanding of past is essential. ‘Truth is ultimate reality, if such there is, must be eternal, imperishable and unchanging. But that infinite, eternal, unchanging truth cannot be apprehended in its fullness by the finite mind of man which can only grasp, at most, some small aspect of it limited by time and space and by the state of development of that mind and the prevailing ideology of the period. As the mind develops and enlarges its scope, as ideologies change and new symbols are used to express the truth, new aspects of it come to light though the core of it may yet be the same. And so, truth has ever to be sought and renewed and reshaped and developed, so that, as understood by man, it might keep in line with the growth of his thought and the development of human life. Only then does it become a living truth for humanity, supplying the essential need for which it craves and offering guidance in the present and for the future. 1. A Note to the Members of the National Planning Committee, May 1, 1940 in ‘Jawahar Lal Nehru: An Anthology’, edited by Sravapalli Gopal, Delhi: Oxford University Press, 1980. P506. 3. Jawahar Lal Nehru, ‘The Autobiography of Jawahar Lal Nehru, New York: John Day Company. 1942. P185. 4. Jawahar Lal Nehru, ‘Why India is Non-aligned’. Television and Radio Address, Washington DC, 18 Dec 1956; Reprinted in ‘Jawahar Lal Nehru: An Anthology’, edited by Sravapalli Gopal, Delhi: Oxford University Press, 1980. P377. 5. Jawahar Lal Nehru, ‘The Discovery of India’, Delhi, Signet press. P7. Ideas and views are different from administration. Two different personalities Patel and Nehru, Nehru might have ideas (his or some bodies) every body knows ideas, but implementation responsibility and administration are rare qualities Nehru does not have. The first step of India Democratic country democracy stabbed, of all provenances and states representatives elected Patel as PM, but Nehru some how managed to be a PM Is it not the wrong step taken . People not elected Nehru but respected Gandhi ji. Patel has good ideas that what Country needs, not luxurious and illegitimate led life like Nehru. What ever it is subject taken by Nehru 1 Kashmir 2 Babri these two issues still burning and how much money, terrorism or dialogue internationally facing.There is no good act or bad act only honestly interpret and implementation. This is Indian History and facts that not the question of any body demonized or not. On every incident postmortem has to be taken when any natural death postmortem not taken, when suspicious death postmortem should be taken and analytically analysis the root cause of the death, such way History also postmortem. I don't believe in living in regrets. Those who say that Patel ought to have been the first Prime Minister of India, would have said the same for Nehru in that hypothetical situation. The fact is that Nehru was independent India's first PM. He had his own vision and plan. He was human and so therefore he did make mistakes. But he was not dictatorial- his greatest attribute. What I speak is for the present India and her well being. A nation must not demonize its leaders, leave alone its founding PM. India's first Prime Minister should not be demonized nor the present one. The nation has to take everyone and everything in its stride. A lot has been written on facts and truth about Nehru and his policies that lead to failures on multiple fronts later. So, putting a few links of those articles below, rather than challenging and refuting the content of this article.